I’ve written a few times about the various apps that the guys over at Shedworx make and I’m always keen to see how their product range is developing and improving. They published a blog post recently outlining their development plans for 2010 and their main focus for 2010 is on two areas: AVCHD workflow and Digital Asset Management. As such there’s some great improvements in store for their VoltaicHD and FlamingoHD applications. In their post they talk about how they’ve always been working towards having a completely native AVHCD workflow for VoltaicHD which started with the basic AVCHD editor that was added to VoltaichHD 2. The next step in the process is adding native AVCHD output from Voltaic including trimming / joining files. So you’ll be able to import AVCHD footage from your camera, do some simple editing and then output an AVCHD format file without having to do any format conversion. The end result should fast output of great quality files. One cool aspect of this for me is that I’ll be able to edit some AVCHD footage and then burn it as an AVCHD disk that can play on my PS3 using Shedworx’ other app RevolverHD. VoltaicHD is available as both Mac and Windows apps. FlamingoHD is Shedworx’ youngest product but one that has proven to be very useful for managing media imported from AVCHD cameras. The areas to be improved in 2010 include re-working the media views to provide a faster, easier way to navigate your library. Improvements in managing your library and metadata. Support for simple editing of all supported media types is also a planned feature. FlamingoHD is available as as Mac app. After a few years of being available there are now many hard-disk based video cameras that use the AVCHD format for video, support for the format in video editing software is well supported now on both Mac OS X and Windows by apps like Final Cut Pro / Express, iMovie, Adobe Premiere, VoltaicHD and more. This all leads to a much simpler experience for users of AVCHD cameras than it was a couple of years ago. AVCHD Lite – Throwing a spanner in the works? More recent digital stills camera have started coming with the ability to shoot HD video, for many of the small compact cameras there became a need for high-quality efficient video format that could be used in small compact cameras with less capable hardware. The solution to this was a variant of the AVCHD format called AVCHD Lite. The main differences between AVCHD Lite and the regular AVCHD: a maximum resolution of 1280 x 720p in AVCHD Lite compared to 1920 x 1080p in regular AVCHD and a less-intensive compression method – both of which make the format more suitable for less powerful camera hardware. Why can’t I edit AVCHD Lite in iMovie or Final Cut? AVCHD Lite throws a spanner in the works because many of the existing AVCHD editing packages are incapable of supporting it without an update to the software. At the time of writing none of Apple’s video editing applications such as iMovie, Final Cut Pro or Express support the AVCHD Lite format. Adobe’s Premiere and Premiere Elements applications also do not appear to support AVCHD Lite at this time. The only solution for AVCHD Lite on Mac OS X at the moment is the one that saved many an early adopter like myself a couple of years or so ago when AVCHD cameras first came out – VoltaicHD by Shedworx. This is a $35 app that will convert your AVCHD Lite footage to the Apple Intermediate Codec format that can then be used in any of Apple’s video editing applications. As of 04/06/09 iMovie now supports editing of AVCHD Lite files with the iMovie 8.0.3 update! I wrote a review of FlamingoHD a couple of months ago of their new media management application for Mac OS X called FlamingoHD (made by Shedworx, the makers of VoltaicHD). At the time of the review FlamingoHD was available for sale as a beta version (for those early adopters! ), however, Shedworx have reached their first milestone and have now released version 1.0 of FlamingoHD to the world! For a more detailed overview read my previous post: FlamingoHD – Helping you manage your AVCHD media or checkout the FlamingoHD page on the Shedworx website. FlamingoHD is a new application by Shedworx (the guys that make VoltaicHD), with the purpose of helping you manage all of your AVCHD video footage. Although AVCHD has greater than ever support these days it still presents a challenge when it comes to managing all of the video that you’ve shot, especially as the convenience of shooting straight to disk or card kind of encourages you to record a lot more than you would when using tape! FlamingoHD provides a solution to this problem by enabling direct import from your AVCHD camera or alternatively importing AVCHD clips that are already on your hard disk. It does this by providing a preview thumbnail of the video footage before you import it, this saves a lot of time compared to iMovie or Final Cut Pro as you can choose only the clips you want without having to convert the footage first. The user interface is easy to understand as it features a left hand menu very similar to iPhoto or iTunes which contains sections for Devices, Events and Projects, very similar to the iLife applications. The basic process is to select the source of your video footage. You can either connect your camera to your computer which will automatically show up in FlamingoHD as a device, or you can select ‘Import Media’ from the File menu to select either a single clip or a folder containing clips from a location on your hard disk, once selected they will show as a device in the ‘Devices’ section in the left hand menu. It’s also worth clarifying that FlamingoHD will actually import video, audio and images from your source device or location and can manage all of these assets within Events and Projects. With a device selected ready for import you can then choose which clips you want to import into FlamingoHD, the imported files will automatically become an Event, or more than one Event if there are multiple clips shot on more than one day. This can be controlled by a preference which allows you to switch off this feature if you just want to import everything into one event. The application preferences are worth checking out as there are a couple of other important preferences to consider. The first is ‘Hide media already imported’ which is enabled by default, this is useful when there are a lot of clips on a camera that you have already imported as it hides the ones you’ve already brought in. The second important preference is ‘Copy imported media to Library area’, it’s important to set this appropriately because if it is ticked any clips imported from a folder on your computer will be copied to FlamingoHD’s Library which will take up more space and will result in duplicate files. Clips imported directly from a camera will be copied to the library regardless of this setting, the location of the Library for FlamingoHD can be set in the Base Location preference under the General tab. Once you’ve imported clips into FlamingoHD you can then group clips together into Projects, these projects can then be sent to exported in via several methods, either ready for editing or as final output. Projects are created by selecting ‘New Project…’ from the File menu, this adds an entry under the Projects section of the left hand menu which you can name to suit. Once the Project has been created you can drag and drop clips from any of the events that you previously created. After creating a project you can then choose to export or convert your files. FlamingoHD has options to send files to VoltaicHD, RevolverHD, iMovie and also to the assets folder of other editing applications such as Final Cut Express or Final Cut Pro. This option will send your footage to VoltaicHD and it will be queued up and converted ready for use in whatever application you want. Selecting this option will send your AVCHD files to RevolverHD where they can be burned as either AVCHD DVD or Blu-ray DVDs that can be played back on Blu-ray players such as the Playstation 3. This option is specifically for sending your project to iMovie, it creates a new project in iMovie and sends your clips to VoltaicHD for conversion, once converted you can open iMovie and all of the clips will be there in the new project. Using this option will send files to a folder in the assets location of your preferred editing software, you can set this option in the Preferences of FlamingoHD. The AVCHD clips will be converted in VoltaicHD and copied to the folder. You can then open your editing software and bring in the files that are ready for editing. 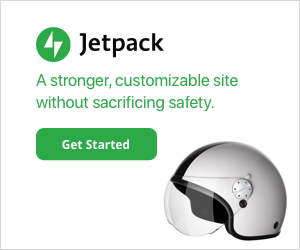 In Beta and available now! FlamingoHD has worked pretty well for me so far but it is worth pointing out that (at the time of writing) that it is a 0.1 version, as such it’s beta software and still being actively developed. 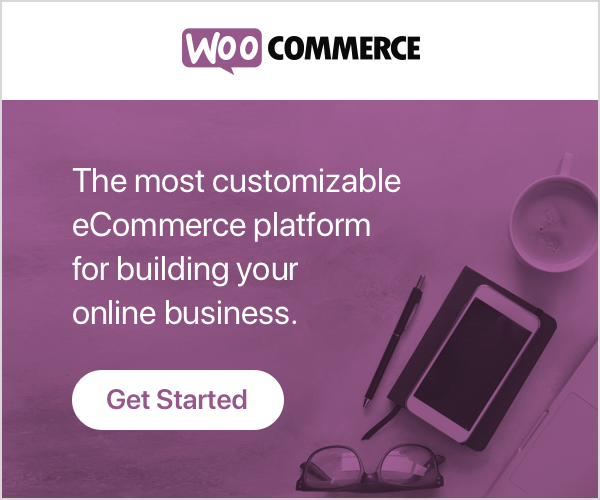 However, the developers Shedworx have made it available to purchase now for the reduced price of $29.99 while it is in beta, the price will increase after the beta period. FlamingoHD already provides a very useful application for managing all of your AVCHD media, but one aspect I haven’t mentioned is that it will also handle any video format that is supported by Quicktime so it can also be used for cameras that don’t use AVCHD as the video format. For me this is the key to the application’s potential, it fulfils a function that Apple’s own iLife suite doesn’t provide, that of being a specific video asset management tool. The only criticism I can see is that it currently doesn’t provide direct playback of the video clips that are imported into it, instead the files are opened into Quicktime player. The biggest drawback of this being that Quicktime player doesn’t currently support AVCHD clips. However, Apple’s next release of Mac OS X, 10.6 ‘Snow Leopard’, is supposed to support AVCHD so that will be one solution, but in the meantime perhaps enabling AVCHD clips to open in the open source VLC player could be integrated as this already provides playback of AVCHD footage. The next release version 0.2 will provide a film-strip view of clips which will at least make it easier to examine the clips in more detail without needing to open them. Give it a try for yourself, there’s a demo version that is limited to a maximum of 2 events, 2 projects and 50 clips, this gives you enough to try it out and kick the tyres. There are also demo versions of VoltaicHD and RevolverHD so you can test out the whole workflow. Finally, don’t forget to give feedback to the developers via the FlamingoHD contact form, they’re keen to consider people’s ideas and to hear about any issues people encounter with the software. I thought it would be good to take a quick look at how support for AVCHD video has progressed over the last year. When I first wrote about AVCHD back in June 2007 there was very little support, cameras had been out for quite a few months but with no real support for the AVCHD format, not even within Sony’s own Windows-only Vegas editing software, never mind any kind of Mac support. Since then however support has improved and there are quite a few options for working with AVCHD and cameras are in widespread use. Here are a few notable developments surrounding AVCHD video format. With the release of Adobe’s new CS4 suites brought back a Mac OSX version of Adobe Premiere CS4. What is interesting about Premiere CS4’s AVCHD support is that it is native and doesn’t require any conversion of the video footage when importing. Interestingly it will also support playback of mixed media types all in the same timeline. Premiere was the first digital editing software I ever used and in it’s day was awesome. This new release does sound like Adobe have made some great improvements and have made a worthy rival to Final Cut and Avid. MotionBox is a video sharing site that was the first to implement support for uploading AVCHD format video. It’s actually quite a handy way to share video online and in the process convert your AVCHD video clips as MotionBox will also create Quicktime compatible MP4 versions of your video for your computer and your iPod. I’ve blogged about the Shedworx applications a few times, but where would many owners of AVCHD cameras be (especially the early adopters who bought them in late 2007!) without VoltaicHD? Although VoltaicHD was originally just a Mac OSX application it has also been available as a Windows PC version for some time too. Among the many benefits that VoltaicHD brings is a low cost way to edit video on Mac, especially for users on older Macs running PowerPC chips that aren’t supported by either iMovie 08 / 09 or Final Cut Studio. Windows PC users can also edit HD footage from their AVCHD camera for a low cost by using VoltaicHD and Windows Movie Maker. 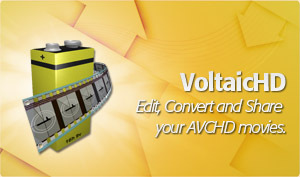 VoltaicHD has helped make AVCHD a practical format for video editing. 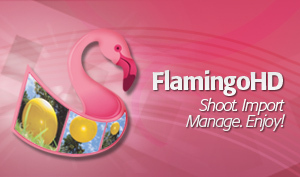 Shedworx are soon to release the first version of a media management application called FlamingoHD which is intended to complement VoltaicHD and provide management and workflow of HD footage. AVCHD Lite is a new variation of AVCHD which supports only the lower 1280x720p HD format. It actually uses a variation on regular AVCHD so many applications may require a software update to support cameras using the Lite variation. AVCHD Lite is generally targeted as a format for small point-and-shoot digital cameras that take a step up to HD video from the regular 640×480 standard definition video found on many of these cameras until now. 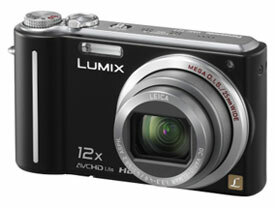 Panasonic’s Lumix ZS3 and TZ7 are examples of cameras using AVCHD Lite. Budget AVCHD editing in Windows: VoltaicHD for PC and Windows Movie Maker! I’ve previously written about How to edit AVCHD footage on Mac OSX, at the time of writing that article there weren’t many options for editing AVCHD footage on either Mac OSX or Windows operating systems. VoltaicHD is a great application that helped Mac OSX users in particular because at that time there was no way of editing AVCHD on Mac at all. Many Mac users had purchased AVCHD cameras and were frustrated by the complete lack of software available for editing AVCHD on Mac and even Windows users had to wait quite a few months before Sony released a version of their Vegas software that supported AVCHD. Since then though, there are quite a few options for Mac users: Final Cut Studio and Final Cut Express offered mid to high end products for the Mac platform. Also Apple’s own iMovie software had a complete revamp and amongst many new features was direct support for AVCHD based cameras, a perfect budget solution as the software was included free with any new Mac or as part of Apple’s iLife suite for about £55 / $79. However for Windows users, despite the availability of software like Sony Vegas, many people wanted a way to edit AVCHD without having to buy editing software that cost as much (or more!) than they spent on their cameras in the first place! There was no easy way to do this on a low budget, you could find articles on the web with instructions on how to use various applications or utilities to convert the AVCHD files into various formats, but nothing simple that would allow non-technical users to edit AVCHD footage. But now there is an easy solution. VoltaicHD for PC & Windows Movie Maker: A low budget way to edit AVCHD! The company that produced the VoltaicHD application for Mac OSX, Shedworx, has released a Windows version of VoltaicHD that is compatible with both Windows XP and Vista. You can convert your AVCHD footage into WMV or AVI format video which can then be used with Windows Movie Maker or other video editing application for Windows. Windows Movie Maker is a video editing package that comes with both XP and Vista, and contrary to popular belief it is actually capable of working with HD video footage, but just not with native AVCHD footage. That’s where VoltaicHD fits in, by converting the footage to WMV format you can edit the footage from your HD video camera using just Windows Movie Maker! There are a few minimum system requirements to run VoltaicHD for PC but any reasonably modern PC should be capable of processing the AVCHD files. It’s worth noting of course that HD video is very intensive to work with and requires greater resources than editing conventional standard definition video footage. On a system with the minimum hardware requirements (as detailed below) it will take about 2 minutes to convert a 10 second AVCHD clip. It is obviously recommended to have as powerful a system as you can manage but even a slightly older machine should be capable of producing results – as long as you have a little patience and perspective! On the plus side the converted video files result in uncompressed HD video which can be played back more easily than the original AVCHD files on the minimum hardware spec machine. Minimum Hardware requirements: At least 1GB of RAM, at least a 2Ghz P4 processor or equivalent processor and as much hard disk space as possible. AVCHD footage uses about 120Mb per minute of video footage, once this footage has been processed it uses about 500Mb per minute of video, so disk space is quickly used up. Minimum Software requirements: Either Windows XP SP2+ or Vista, Microsoft Movie Maker 2.1+ and Windows Media Player v11+. VoltaicHD can convert AVCHD footage to either WMV or AVI formats, however WMV is the preferred format as it keeps the aspect ratio correct no matter the resolution of your source AVCHD footage. There is no loss in picture quality when converting the AVCHD footage to either WMV or AVI. However, the audio track is affected during conversion, AVCHD can use Dolby 5.1 surround sound but only Sony cameras use this, Panasonic, Canon and JVC use stereo only. Any Dolby 5.1 sound is dropped back to stereo audio as this is all that Window Movie Maker supports. You need set up the various preferences before using VoltaicHD for the first time, you can go back and change these preferences later by going to the Tools->Options menu option, or via the toolbar button. Scratch file location: VoltaicHD creates temporary files during conversion, you can set where these should be created to a location of your choice. If you are converting large files from an external storage location, and want to preserve disk space on the machine running the conversions, you should set this location to be on the external storage device. Output Directory: You can set where the final converted final files will be placed. Extract 5.1ch Audio: The audio track from your movie can be extracted during the conversion process. Output Format: WMV format is the recommended format for your converted clips. Make sure to copy all clips from your camera onto your hard drive before converting. It’s not worth risking trying to convert footage straight from your camera as it can be problematic. Try closing down any unnecessary programs during the conversion process. Converting AVCHD footage is very processor / memory intensive so freeing up resources on your computer helps a lot. Watch out when converting large AVCHD files if using a FAT32 formatted drive as the converted files may result in files larger than the 2Gb limitation of FAT32 will allow. Next, add some AVCHD files to the file list and press Start. The converted files are created in the same directory as the source files by default, or to the location you set in your Preferences. You need to set up Movie Maker to the correct video format for your region, either PAL or NTSC, and also to widescreen (16:9). Go to Tools->Options and click on the Advanced tab. You should then see a section called Video properties where you can set the correct format (NTSC or PAL) and also the Aspect ratio to 16:9. There’s no need to set the video format (NTSC or PAL) in VoltaicHD as this is auto-detected from the AVCHD clip. You can now edit your HD footage just like you would with any other footage in Windows Movie Maker. VoltaicHD provides an export profile for Movie Maker 2.1 on Windows XP which ensures that the full HD resolution of your completed movie can be exported. Movie Setting: select Other, then VoltaicHD 1080 from the drop down. Note: Select VoltaicHD 1080 PAL or NTSC, based on the format you are using. If you are using Movie Maker in Windows Vista, then VoltaicHD provides an export profile to ensure that the full HD resolution of your completed movie can be exported. If your movies are in 1440×1080 resolution you will also need to manually apply an Effect to your clips to retain the full 16:9 aspect or Widescreen mode. Once your clips are in your storyboard or timeline, right click each of the clips and select “Effect”. On the next window under “Available Effects” scroll down and click on “VoltaicHD Widescreen” then select “Add >>". Then select OK. The preview window should now be showing your clip in widescreen mode. Movie Maker will then create your HD movie! All thanks to VoltaicHD for PC! If you want to watch your HD footage on something other than your PC then you can watch on XBox, PS3 or any Blu-ray player. You’ll need something like Nero to burn a blu-ray DVD (AVCREC format). The makers of VoltaicHD for PC make some software called RevolverHD which can create blu-ray compatible DVDs. However, there’s currently only a Mac version available, so if you happen to have access to a Mac then you can use that. If you’d like a PC version of RevolverHD then get in touch with the guys at Shedworx and let them know.